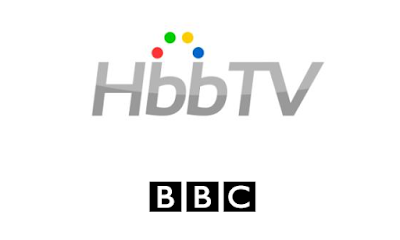 UPDATED | The BBC has announced it intends to speed up the adoption of the interactive TV standard HbbTV in the UK, moving away from the MHEG-based system that's powered its digital text and traditional red button services since the launch of digital terrestrial TV. As part of its plan, it intends to move beyond legacy MHEG technology to industry-wide adoption of HbbTV 2.0.1 "in time for equipment manufacturers to build HbbTV into 2018 product cycles". MHEG technology currently powers the traditional Red Button digital text service on Freeview alongside interactive TV services. The off-air slates used on Freeview are also based on MHEG, as are numerous streamed channels, that utilise MHEG-IC. HbbTV (Hybrid Broadcast Broadband TV) is a newer industry standard that's been around since 2009. It can offer a better connected TV experience on smart TVs and set-top-boxes and is already used for Freesat's Freetime platform and the new Freeview Play service. Many continental broadcasters have utilised HbbTV for their text and interactive "red button" services. Moving away from MHEG means and towards HbbTV means the BBC can move more quickly towards having just one universal standard for delivering extra content to Freeview users. With more receivers supporting HbbTV, more viewers will be able to benefit from the BBC's connected TV streams from major events such as Glastonbury, which may help justify closing the traditionally delivered Red Button video streams on Freeview. In order to achieve this goal, the BBC will remove the MHEG requirement from the 'BBC Interactive HTML application' specification that manufacturers have to follow, and work with industry partners to align other specifications such as the D-Book owned by the DTG, and the Freeview Play specification and Trade Mark Licence framework managed by Digital UK and Freeview. A plan will be developed by the BBC, Freeview, Digital UK and the DTG by September 2016. It will then be shared publicly in relevant industry forums. The plan will include, among other things, the development and sharing of test applications to enable manufacturers to ensure correct behaviour of the new HbbTV-based services. The BBC says that by adopting this approach, it will be able to address "the feedback received to date from manufacturers while balancing the needs of audiences to drive the industry forwards and provide a better environment for UK free-to-air services." “We are actively engaged to set out a plan, working with the BBC, Freeview, DUK and DTG Members to deliver a solution which works for both the industry and consumers with their varied viewing preferences. We are all supportive of a well-managed migration from MHEG to HbbTV"